Myrtle was born on a farm near Hayes, Kansas, Aug. 13, 1887, the daughter of Forest Clinton Ferris and Millie Aurner Ferris. She had five brothers, and was the middle child. In June of 1910 she married Samuel Andrew Pollock. Pollock died in mid-August of that same year. I have not found an obituary or the cause of a death at the young age of 27. The two had no children. Our Myrtle must have picked herself up and dusted herself off, because 1916 saw her graduate from the Hahnemann Hospital Training School for Nurses in Chicago, IL. The school is now a part of Drexel University but at the time was associated with a medical school for homeopaths. Myrtle was a member of the Church of the Brethren, also called the “Dunkers.” At the time, the church was engaged is very active missionary work in the Far East. In 1917, she applied for a position and was approved for an opening in China. 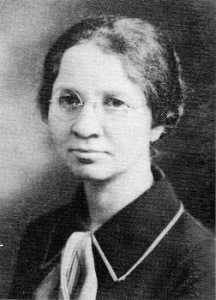 Other than for furloughs, she would spend the next 23 years nursing, teaching and evangelizing in that country. The Brethren operated several hospitals and clinics in China between 1917 and 1940. Chinese place names are a bit of a nightmare but Myrtle worked at Liao Chou (Liaozhou) in Shansi (Shanxi) province. Based upon the dates she served in China, she could have worked at Hiel Hamilton Memorial Hospital in Liao Chou, Brethren Hospital in Ping Ting Chou or and Women’s Hospital in Shou Yang. There was also a nursing school established at Ping Ting Chou in 1924. In Sept. 1920, Myrtle wrote a piece on the work at the Hiel Hamilton Memorial Hospital in Liao Chou for the church’s The Missionary Visitor publication. I have formatted it a bit and you can read it in this pdf file. ” One day a young man about twenty-three years of age, while walking along the road beside his donkey, decided he would ride. As he went to jump on his donkey’s back, the donkey jumped from under him. The young man fell on a sharp-pointed rock, cutting a gash in his scalp. In a couple of days erysipelas developed and his condition became serious. ” This young man and his family appreciated western trained medical care and came the distance of some thirty miles by donkey to receive that care. ” For six days and nights continuous hot medicated fomentations were applied to his face and head, exposing the nostrils only, and through work and prayer this young man’s life was spared. ” Let us look about us and note the many who do not seek the aid of a physician until it is too late. Let us not then blame an Oriental who would seek western medical help as a last resort. Not all of them are hesitant, but many are timid. Pray that the ways and means may be provided whereby the many who are hesitant may seek capable medical attention, and in so seeking, find the Christ. ” Superstition, fear, lack of finances and difficult travel rob many patients of the blessings of medical care. Pray that the members of the Liao Chow Hospital staff may be given guidance and material resources in their efforts to overcome these hindrances. Sister Myrtle Pollock has been transferred to a new place for her and to a different work. In this new plan of work, we hope to train many young men and women for rural medical and social betterment. Sister Pollock has wanted to do this kind of work for years and now she is beginning this new task associated with Dr. Parker, Nurse Wertz, and several others at Ping Ting Chow. Pray for Sister Pollock in this new type of work. Early in January during a typhus epidemic at Liao Chow, Sister Myrtle Pollock passed on to her eternal reward. She literally “died in the harness” with this virulent disease while caring for over thirty refugee children in the hospital. 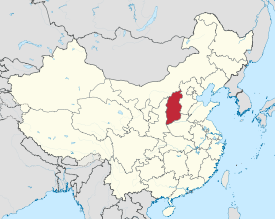 For the time that Myrtle served in China, the province of Shanxi was controlled by a warlord ostensibly loyal to the National government. After the Japanese invaded, the region was rife with Communist guerrillas. In the years just before her death, the area saw battles, and worse. The Japanese use of bio-weapons has been noted but the horrors are far less well-known than those of the Germans. It is possible, even likely, that Myrtle died of typhus introduced intentionally by the Japanese. I have nothing to back up that supposition. On Ancestry.com there is apparently a biography of this Ferris relative. I do not have a membership so I cannot provide it. Should you have such a membership, a search ought to easily turn it up. There may be two, one by a nurse who knew her and another by a Robert Ferris.